I have thoroughly enjoyed this series so far. Michael talbot is a fantastic character. Great to listen to on any road trip! 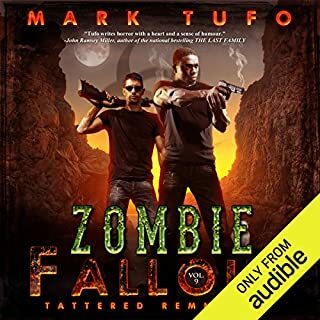 I have been experiencing Zombie Fallout withdrawal, I know that there are other Mark Tufo books and all of them scratches that itch of Tufo-ism I have needed but none compare to the epicness of Zombie Fallout with Mike, his family, BT + Tommy facing a Zombie Apocalypse and all that it entails. 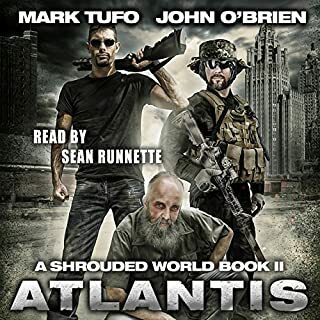 Sean Runnette + Mark Tufo = Perfection! That's just it.... Absolute PERFECTION. I don't know what fate put this author and this narrator together but to the powers that be... Thank you! Now this book is just plain exciting... 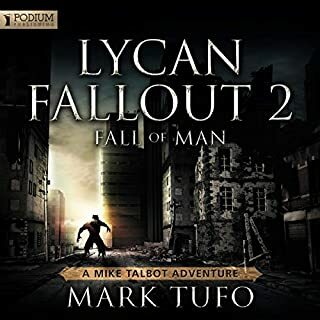 There are so many moments that you are at the edge of your seat... And if you are a true fan of the art of Tufo-ism then you find a couple references to other books in the Talbot Universe (Callis Rose reference the most obvious there) which is always a trip. You have that dry sarcasm teeming from Mike Talbot, the mismatched thought processes of Trip along with his poor wife who is just perpetually confused by her husband, the downright brutish nature of BT, the crafty and hard to kill Mrs. Denou.... With the death of Eliza, Mike has to find a new quest and the quest here is simply to find a cure for his son and his best friend. This book was the nice combination of action as well as plot development. The book put me in a rather peculiar conundrum.... One where I couldn't help but make my way through this title, and also definitely not wanting it to end. It ended all too soon for me.... There will be more though. Thankfully there will be more! So my only problem with this title is..... I have to wait for book 8.
hibernation does a zombie good! i must admit i was a little leery about the direction of the story now that eliza has been killed. i mean what could be worse than a vampire with mind control powers over zombies having a serious grudge against you? 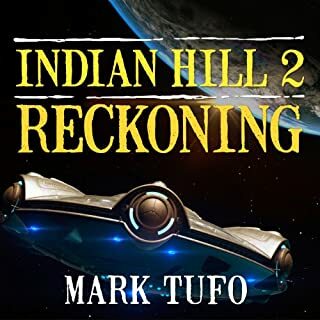 so, i was a little puzzled by publisher's summary, "What he does not know is that an old foe has risen up and a more insidious threat has emerged to not just the Talbots but all of humanity." so yes, i had to google the word, insidious, just to make sure i knew exactly what it meant. i can admit that AND still keep my man card. LOL now that i think about it, wanting to know exactly what insidious means probably has more to do with my obsession with this series. at first, i thought an enemy more insidious than eliza? no way! but after i looked it up, i realized i only knew a partial meaning of the word. after learning the full meaning of insidious and listening to the story, i now agree with the publisher's summary. eliza is not insidious. heck, she'd drive a dump truck full of zombies through the word! no, i'm not going to tell you what it means. go google it. i'm not your mother. overall, the story is very entertaining. it's more of the same- the mike and bt comedy hour, but what's new is who occasionally gets in on it- tommy! no, you're not drunk or high! yes, you're reading that right. tommy gets in some zingers. and that's one of the surprising parts of this book. tommy has changed again. in this book, he's a b@d@$$, and it was kewl to see him let loose. the story is mostly told from mike's perspective, but interspersed b/ween his journal entries are tripp's story and mrs. deneaux's story. yes, the b!tch everybody loves to hate is still alive and doing her worst. oh will i savor it when she gets her comeuppance! believe it or not, tripp is even zanier in this book than in the previous one. milk does a body good! so does hibernation! well, at least for zombies. good for them but not for mike and company. early to bed, early to rise makes a man, healthy, wealthy, and wise. well, hibernation does a zombie good in a really bad way for mankind. with eliza roasting over the coals, romero has left the building. i won't say what they are, but there are a few plot threads that finally get tied together in this book. the weaving together of these threads reveals the insidious threat the publisher describes. so, not all is well in zombieland. this direction makes me a wee bit squeamish. but it won't stop me from downloading the next installment. 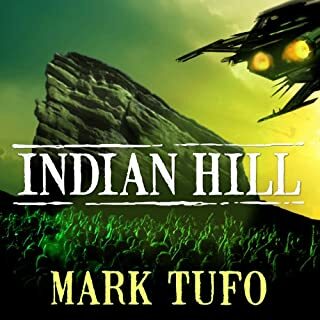 speaking of which, the ending of this story is very abrupt, even for a tufo novel. as for narration, i have 1 word, "runnette." 'nuff said. btw, i finally googled him, and he looks nothing like i imagined. Can only take so much and man oh man does this book keep the blood circulating. GET IT! 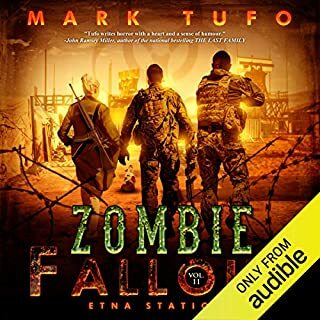 Where does Zombie Fallout 7: For The Fallen rank among all the audiobooks you’ve listened to so far? I enjoyed the new storylines for my favorite old characters. I can't believe I've made it to a seventh book in a series and haven't lost interest or found it stale. I'll be reading number 8. 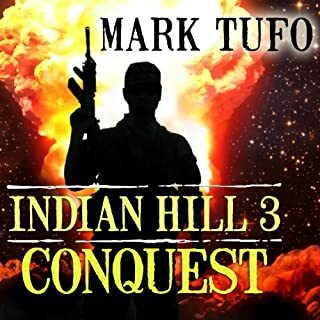 Mark Tufo and Sean Runnette are a Great team! 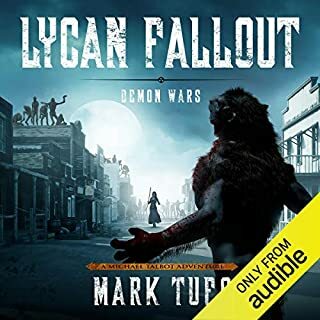 I love this series, I'd have to say this book is in the top 5 books I've listened to. I find myself listening to it again when ever I want a chuckle. Mike Talbot of course, He just can't catch a break, but seem to break everything around him. Sean brings these character to life...each voice is the perfect fit. It's strange read the book after and have Sean's voices rolling around in my head. Yes, I think I finished it in 2! 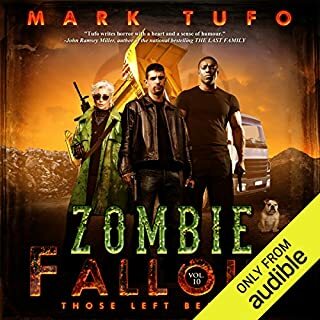 I am a big fan of the Zombie Fallout series, and this one is excellent. 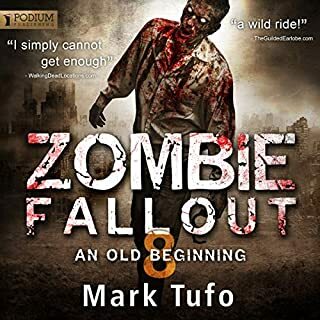 You can't really start with this book, so if you are into zombies, and why would you be reading these reviews if you weren't, you need to start with the first one. 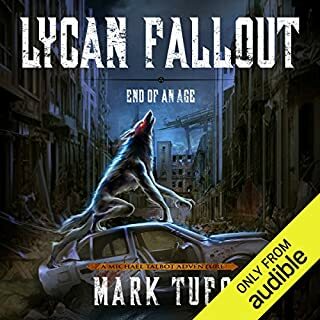 Fun series of books and I can't wait for ZF8! 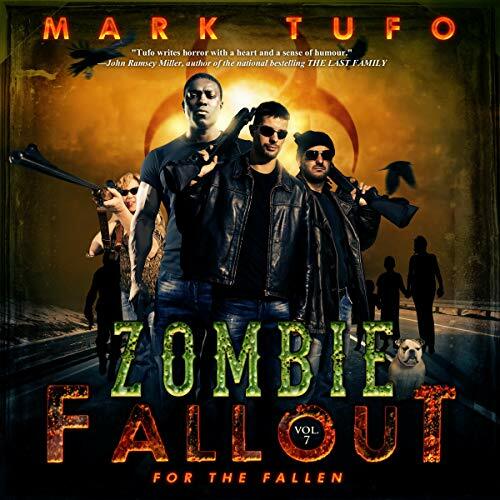 What did you love best about Zombie Fallout 7: For The Fallen? 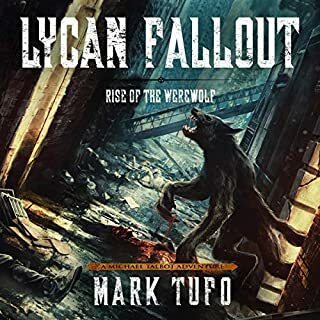 The whole story line from Mark flows great. The story from Mike's view is one of the best. 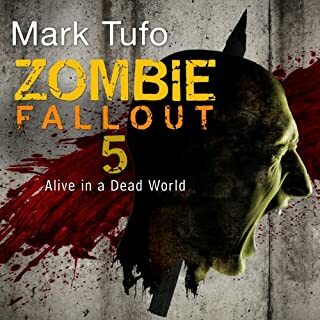 What other book might you compare Zombie Fallout 7: For The Fallen to and why? There are few that can compare to FZ series. 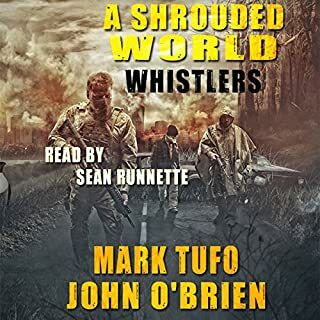 New World Series from John O'Brien is written as well. Sean brings Mike to life, I don't think it would be the same if Sean was not the voice for the series. yes, I had a hard time stopping. I found myself sitting in the car after getting home because I needed to hear what was going to happen next. First let me say I love this series. 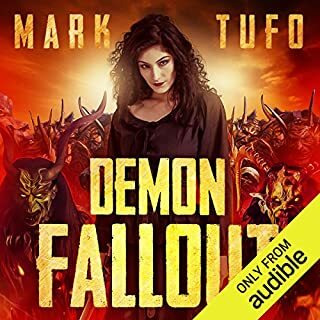 Mark Tufo is a freakin genius and Sean Runnette's narration is awesome. But this book left me with an unfinished feeling unlike the rest in the series. 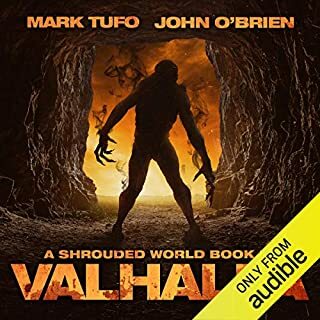 I enjoyed this book as much as the rest, but it left me feeling like I was watching great movie and the power went out. I had to double check that I didn't accidentally skip the end of the book some how. I hate the feeling of having to buy the next book to find out the end of a story. I never felt that way with all the other books in this series. ...but it wasn't my favorite of the Talbot Family saga. It felt a bit rushed. 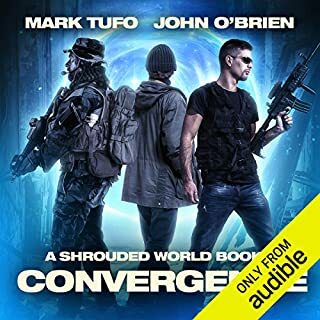 Sure, I loved hearing more from the Talbot family, BT and the return of Trip but when I heard "This is the conclusion of the audio book..." I literally said out loud, "That's it?" I literally scrubbed back to see if I had accidentally missed a few chapters. 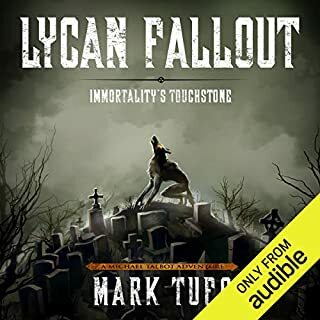 When I run out of audiobooks to binge upon, I'll revisit this and see if my opinion remains the same.